Tonight, I, and hundreds of others, attended a “Night Under No Man’s Sky” event where footage of Hello Games’ No Man’s Sky was shown to the backdrop of an independent band’s live concert. Before the show began, Hello Game’s Sean Murray, clearly humbled by the opportunity he and his small studio had this weekend at the PlayStation Experience, talked about how, for a moment, he was able to forget about worrying about “framerate” and “exclusives” and just have fun. Because that’s what games are supposed to be, no? Hearing Murray say these words, then seeing the footage of No Man’s Sky set to the excellent music of 65daysofstatic, managed to underline how PlayStation Experience differed greatly from my trip to E3 earlier this year. While Sony and company were certainly trying to sell their products to me, also being sure to undercut their competition at every turn, during the time that I’ve been walking around PlayStation Experience, I felt like, even as a person who covers the games industry and its politics for a living, none of the toxicity that usually engulfs video game culture mattered. 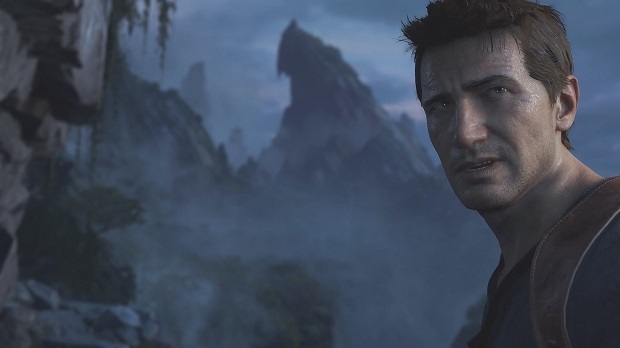 At PlayStation Experience, everyone cheered when Nate came on screen. There’s a unified love of PlayStation here that you won’t find at E3. Nintendo and Microsoft should follow suit. Here at PlayStation Experience, hundreds of like-minded people with a similar interest came together. That interest was PlayStation. People didn’t spend time arguing about the Xbox One and Wii U’s merits versus the PS4’s, they talked about the PlayStation games that mattered to them. It may seem like it segregates gamers, but there’s a magic at a dedicated event that can’t be captured in a place like E3 or Gamescom, where everyone is coming in to be critical of every detail about a game and how it’s presented to them. PlayStation Experience may have been conceived so Sony could sell the public on their games, but that’s not what the public is going to think about it when they reflect on it months later. You see that PlayStation Experience is an event for the community when you see people cosplaying as their favorite PlayStation character, or in the “Hello, my name is” stickers that people put their PSN ID on. Even during the keynote when the entire crowd exploded when Uncharted 4 was being shown, you could feel the energy of people who care emanating from everyone present. It’s best put in saying that PlayStation Experience isn’t for the press, it’s not for the analysts, it’s for the creators and the consumers to come together to experience games in a place that is the farthest thing from hostile. Everyone here loves PlayStation, and doesn’t have to defend that to the Xbox player that could be sitting next to them. It may be the product of a company wanting to sell what they’ve been working on, but an event like PlayStation Experience transcends the economics of the PlayStation brand; it brings a community together in a place where they are among friends, and in a culture prone to hostility and politics, there need to be more events like it.